Brentwood Baptist Church started in 1969 with a long term vision for loving God and loving people. As the church has grown throughout the years, so has its desire to make an impact outside of the Brentwood community. Many members have had an increasing burden to serve and reach the residents of Nashville. A group of core leaders began praying about focusing our efforts on making an impact in Nashville with the good news of Jesus in Fall 2012. 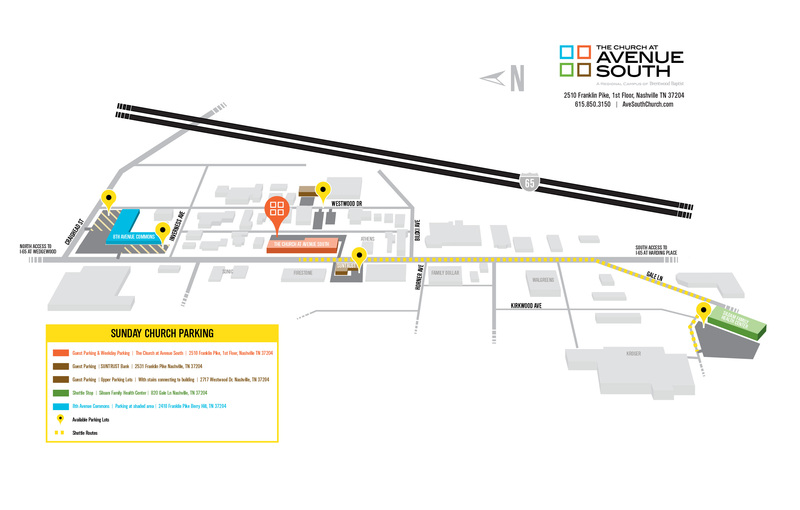 In the spring of 2013, the vision of establishing this regional campus, The Church at Avenue South, was born. Jesus has placed our church family in a building with roots that reach deep into the history of Music City. We are in the thriving area of Melrose and we want our campus to be a symbol of hope and love, by serving the growing community where we live. We want our city to be better because the Christians are here. Our congregation serves people in Melrose, Berry Hill, Belmont, 12 South, and surrounding areas. With the continued growth of our community, we’re excited about the future and all that we will be able to do together. The Church at Avenue South's governance structure falls under that of Brentwood Baptist Church. It is based on the biblical principle that the local church is an autonomous, self-governing body of baptized believers and is accountable to God for its decisions and actions. Interested in working for Avenue South or Brentwood Baptist Church? We are frequently hiring for both ministerial and administrative positions and would love to have you apply. When you enter our building you’ll find a casual atmosphere, friendly faces and warm coffee to get you going. We encourage you to come as you are, so there’s no need to dress up or just because you’re entering a church building. We hope you’ll make yourself at home.